In 2016, the California Legislature passed two bills to combat workers' compensation fraud, AB 1244 and SB 1160. As a result of this legislation, per LC 4615, any lien and any accrual of interest related to the lien, are automatically stayed on the filing of criminal charges against a physician or provider for an offense involving fraud against the workers’ compensation system, medical billing fraud, insurance fraud or fraud against the Medicare or Medi-Cal programs. LC 4615 originally had limited application because the WCAB held that the filing of criminal charges against a physician did not necessarily result in a stay of liens for an entire medical group. So, in 2017, the Legislature passed AB 1422 to clean up this loophole. Now, LC 4615(a)(1) also applies to "any entity controlled" by a criminally charged physician, practitioner or provider. LC 139.21(a)(3) states that "an entity is controlled by an individual if the individual is an officer or a director of the entity, or a shareholder with a 10 percent or greater interest in the entity." So the LC 4615 lien stay applies not only to liens filed directly by criminally charged providers, but also to entities over which they have control. Nevertheless, it has been difficult to stay liens filed by entities. The WCAB has held that a defendant bears the burden of proving that an entity is controlled by a criminally charged provider for the purposes of an LC 4615 stay. It has held that being on the Department of Industrial Relations' list of liens potentially subject to a stay under LC 4615does not automatically require a stay. So the WCAB generally has declined to impose a stay on an entity unless a defendant establishes control as defined by LC 139.21(a)(3). On March 8, 2019, the WCAB expanded the grounds on which a defendant could establish that an entity is controlled by a criminally charged provider. 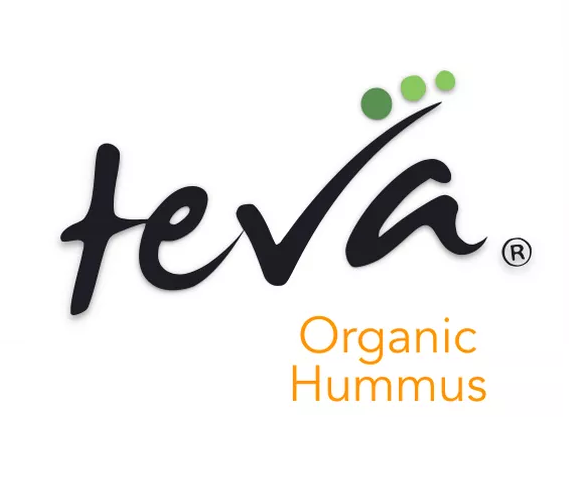 In Villanueva v. Teva Foods (2019) ADJ9332041, the WCAB issued a significant panel decision holding that control under LC 139.21(a)(3) may be established with admissible evidence that the physician, practitioner or provider charged with a crime: (1) is or was an "officer or a director" of the entity; (2) is or was "a shareholder with a 10 percent or greater interest" in the entity; or (3) held de facto ownership of the entity or de facto control consistent with the rights and duties of an officer or director of the entity. In that case, it was alleged that criminally charged providers Dr. Munir Uwaydah and Paul Turley controlled Firstline Health, Inc. (Firstline), and therefore, Firstline's liens were subject to a stay under LC 4615. Firstline, however, contended that as of Oct. 11, 2010, Dr. David Johnson was the sole owner of Firstline, and because Dr. Johnson was not charged with any crime, there were no grounds to impose an LC 4615 stay. On the date of trial, the defendant introduced a signed declaration under penalty of perjury from Paul Turley (Turley Statement) indicating: (1) Dr. Uwaydah owned and controlled many companies and properties, including Firstline, even though other individuals were listed as the owners or they were supposedly corporations with managing board members; (2) this was all done intentionally so that Dr. Uwaydah could hide his ownership and his control from creditors, insurance investigators, government agencies and law enforcement; and (3) Dr. Uwaydah exercised absolute control over many companies, which included Firstline. The WCAB found the Turley Statement admissible because it was not created until after the settlement conference. It also found that the statement established prima-facie grounds to impose an LC 4615 stay against Firstline's liens. But because the lien claimant was not served with the Turley Statement until the day before trial, the WCAB found that Firstline did not have sufficient notice or opportunity to rebut the Turley Statement. The matter was remanded to the trial level for further proceedings. Villanueva's holding that control may be established by showing that a criminally charged provider had de facto ownership or control of an entity goes beyond the definition of "control" in LC 139.21(a)(3). The WCAB obviously felt it was necessary to stay liens when providers intentionally tried to hide their control of an entity in order to avoid consequences from law enforcement. It did not believe that criminally charged providers should be shielded from LC 4615 by their illegal efforts to conceal their control over an entity. Villanueva doesn't necessarily make it easier for defendants to prove that an entity is controlled by a criminally charged provider. In that case, the defendant obtained a statement from Paul Turley that was made as part of a plea arrangement in a criminal case. It is difficult to imagine insurers and claims administrators normally being able to obtain such evidence on their own. Nevertheless, if such evidence is obtained by a defendant, Villanueva requires it to be considered in determining whether an entity is controlled by a criminally charged provider, and thus whether the entity's liens should be stayed pursuant to LC 4615. ↑ See e.g., Enciso v. Toys "R" Us (2017) 82 CCC 1059 (panel decision). ↑ See e.g., Ayala v. Santa Monica Beach Club, 2018 Cal. Wrk. Comp. P.D. LEXIS 567; Sanchez v. A to Z Home Repair, Inc., 2018 Cal. Wrk. Comp. P.D. LEXIS 51. In 2004, the Legislature made a diametric change to the law on apportionment. Labor Code § 4663 was amended to allow apportionment to causation. Under this statute, employers are only liable for the percentage of permanent disability directly caused by the injury arising out of and in the course of employment. Despite the changes in apportionment law, the WCAB has been reluctant to allow apportionment to "risk factors." Citing the well-established case of Escobedo v. Marshalls (2005) 70 Cal.Comp.Cases 604, the WCAB has frequently held that apportionment to risk factors was impermissible because it constituted apportionment of the injury and not apportionment of the disability. On Dec. 10, 2018, the 1st District Court of Appeal addressed the issue of whether § 4663 allows apportionment to risk factors. In City of Petaluma v. WCAB (Lindh), the Court concluded the WCAB erred when it rejected a Qualified Medical Evaluator's (QME) apportionment, which the WCAB had characterized as apportionment to non-industrial risk factors. In Lindh, the applicant worked as a law enforcement officer and claimed injury to his left eye. He sustained multiple blows to the left side of his head during a canine training course. After the training, he had severe headaches lasting hours or days. A month later, while off-duty, the applicant suddenly lost vision in his left eye. The applicant was evaluated by two physicians, one at Kaiser and one at the University of California, San Francisco (UCSF), and neither believed the vision loss was related to the blows to his head. The applicant was then evaluated by a QME, who reported that the blood circulation to the left eye was defective. The QME reported that absent the work-related injury, the applicant "most likely would have retained a lot of his vision in that eye," although he could not "guess" how much. The QME agreed it was possible the applicant could have gone his whole life without losing vision, but also agreed that even without the blows to the head, the applicant still could have lost vision due to his underlying condition. The QME found it was unlikely the applicant would have suffered a vision loss if he had not had the underlying condition of vascular spasticity, a condition that is rare. The QME initially apportioned 90 percent of the applicant's disability to the underlying condition, meaning "[v]asospastic-migraine body type," and 10 percent due to the stress of the injuries. He later apportioned 85 percent of the permanent disability to the old condition and 15 percent to his industrial injury. The 1st District Court of Appeal annulled the decision and held that apportionment was required based on the QME's opinion. It began its opinion with a history of 2004 amendments to apportionment and a discussion of cases which applied the amended apportionment statutes. The Court found the QME understood the distinction between the causes of an injury and the causes of a disability, and the QME concluded that the same analysis applied to both. Although the QME referred to the underlying condition as putting the applicant at a higher risk of suffering the disability, the Court found this did not change the fact the applicant had an underlying condition that was, along with the work-place injury, a cause of his impaired vision. The Court added that the applicant seemingly conflated his asymptomatic condition — vasospasticity personality and vasculature — with his history of migraine headaches, which he also characterizes as simply a “risk factor.” Nevertheless, the Court stated, "But even if characterized as a 'risk factor,' his history of migraines reflected an underlying condition that in [the QME's] opinion was largely the cause of his loss of vision." The Court also found the QME's opinion was consistent with the doctors at UCSF and Kaiser, who both found it was unlikely the industrial head trauma caused the subsequent loss of vision. The Court rejected the applicant's argument that his disability could not be apportioned, because his preexisting, asymptomatic condition might never have resulted in disability or vision loss. This argument reflected the state of law prior to the 2004 amendments. It explained, "Under the current law, the salient question is whether the disability resulted from both nonindustrial and industrial causes, and if so, apportionment is required. ([Citations].) Whether or not an asymptomatic preexisting condition that contributed to the disability would, alone, have inevitably become manifest and resulted in disability, is immaterial." The Court explained that "the post-amendment cases uniformly focus on whether there is substantial medical evidence the disability was caused, in part, by nonindustrial factors, which can include 'pathology and asymptomatic prior conditions for which the worker has an inherited predisposition.' ([Citation])." The Court found no merit to applicant's claim that there can be no apportionment to a condition that caused no disability prior to the work-related injury stating, "By definition, an asymptomatic preexisting condition has not manifested itself and, thus, by definition has not caused a prior disability." The Court concluded the QME's opinion constituted substantial evidence on the issue of apportionment. It remanded to the WCAB with directions to issue an award apportioning the applicant's disability 85 percent to his preexisting condition and 15 percent to his industrial injury. With the exception of Hikida v. WCAB (2017) 12 Cal.App.5th 1249, every appellate-level decision interpreting apportionment under the 2004 reforms has favored employers. In Brodie, E.L. Yeager, and Acme Steel, the courts upheld a doctor's authority to apportion an applicant's disability to pathology and asymptomatic causes. In Benson, the court allowed apportionment between industrial injuries. Finally, in Rice, the court rejected the WCAB's decision that it was impermissible to apportion to immutable factors allowed apportionment to heredity or genetic factors. Lindh is the next case in that line. It eliminates a pathway that had been used by the WCAB to find a doctor's opinion insubstantial on the issue of apportionment. In the past, the WCAB has refused to allow apportionment to pre-existing diabetes, hypertension, hyperlipidemia, obesity, a history of smoking, and family history by characterizing these as "risk factors" and not causative factors. (See e.g., United Airlines v. WCAB (Milivojevich) (2007) 72 Cal.Comp.Cases 1415 (writ denied); Anderson v. Jaguar/Landrover of Ventura (2012) 2012 Cal. Wrk. Comp. P.D. LEXIS 327; Ricken v. County of Riverside (2015) 2015 Cal. Wrk. Comp. P.D. LEXIS 696; Martinez v. County of Alameda (2018) 2018 Cal. Wrk. Comp. P.D. LEXIS 17.) The WCAB itself never defined what constituted a "risk factor" and how it differed from a factor that could be apportioned. Instead, the WCAB took it upon itself to determine what factors were apportionable. Under Lindh, this approach is no longer permissible. Along with the other cases, Lindh allows doctors to determine "what approximate percentage of the permanent disability was caused by the direct result of injury arising out of and occurring in the course of employment and what approximate percentage of the permanent disability was caused by other factors both before and subsequent to the industrial injury" as required by § 4663(c). Therefore, although the law generally favors employers on the issue of apportionment, they still have the burden of proving that apportionment applies. The WCAB still retains authority to determine whether a doctor's opinion constitutes substantial evidence and to issue an unapportioned award if the apportionment opinion is not substantial. But, to reject a doctor's opinion on apportionment, the WCAB must explain why an opinion should not be followed. It can no longer simply reject apportionment by characterizing the non-industrial factors as "immutable factors" or "risk factors." Not a Subscriber? Visit SullivanOnComp.com to subscribe today! In Garcia v. Border Transportation Group (2018) D072521, the 4th District Court of Appeal held that the test adopted in Dynamex Operations West, Inc. v. Superior Court of Los Angeles County (Lee) (2018) 83 CCC 817 applied to the plaintiff’s wage order claims, but not to his nonwage order claims. In Carrasco v. California Department of Corrections and Rehabilitation, 2018 Cal. Wrk. Comp. P.D. LEXIS 398, the WCAB held that when a psychiatric injury is presumed compensable under LC 5402, the defendant is not precluded from asserting and presenting evidence on the good-faith personnel action defense under LC 3208.3(h). In Perez v. Deardorff Jackson Co., 2018 Cal. Wrk. Comp. P.D. LEXIS 413, the WCAB held that the dependents of a harvester failed to meet their burden of proving that his death from a hypertensive stroke while working was compensable. In Prado v. PCG Hospitality, 2018 Cal. Wrk. Comp. P.D. LEXIS 441, the panel majority held that a defendant’s failure to schedule an appointment with a physician within the MPN did not constitute a denial of care when the medical access assistant acted promptly in assisting the applicant in such scheduling. In Barri v. WCAB (2018) G054838, the 4th District Court of Appeal upheld the constitutionality of the lien fraud statutes. In Espinoza v. Baldwin Construction, 2018 Cal. Wrk. Comp. P.D. LEXIS 403, the WCAB held that a defendant bears the burden of proof to establish that a lien is subject to an LC 4615 stay. In Bedoya v. Ashley Furniture Industries, Inc., 2018 Cal. Wrk. Comp. P.D. LEXIS 396, the WCAB held that an applicant was entitled to temporary total disability benefits because the employer did not make an offer of work within his temporary work restrictions after he was laid off. In Lindh v. City of Petaluma, 2018 Cal. Wrk. Comp. P.D. LEXIS 410, the WCAB awarded an applicant 40 percent permanent disability without apportionment when the QME improperly apportioned to risk factors for an injury. In Hom v. City and County of San Francisco, 2018 Cal. Wrk. Comp. P.D. LEXIS 431, the WCAB upheld a WCJ’s decision that an applicant was entitled to 30 percent permanent disability for a 2013 injury to his lumbar spine, even though he received a prior award of 20 percent for a 2012 injury to the spine, because the defendant could not prove that the disabilities overlapped under LC 4664. In Ramirez v. Jaguar Farm Labor Contracting, Inc., 2018 Cal. Wrk. Comp. P.D. LEXIS 442, the WCAB held that an applicant should be evaluated by a QME in chiropractic, even though the medical director issued a replacement panel in orthopedic medicine. In Suon v. California Dairies (2018) ADJ9013590; ADJ9014316; ADJ9489408, the WCAB issued an en banc decision holding: (1) disputes over what information to provide to the QME are to be presented to the WCAB if the parties cannot informally resolve them; (2) although LC 4062.3(b) does not give a specific timeline for the opposing party to object to the QME’s consideration of medical records, that party must object to the provision of medical records to the QME within a reasonable time in order to preserve the objection; (3) if the aggrieved party elects to terminate the evaluation and seek a new evaluation due to an ex parte communication, that party must do so within a reasonable time following discovery of the prohibited communication; (4) the trier of fact has wide discretion to determine the appropriate remedy for a violation of LC 4062.3(b); and (5) removal is the appropriate procedural avenue to challenge a decision regarding disputes over what information to provide to the QME and ex parte communication with the QME. In Ocana v. Selah Gourmet Food, dba Country House, 2018 Cal. Wrk. Comp. P.D. LEXIS 440, the WCAB rescinded a WCJ’s decision and allowed a defendant to send vocational evidence to the QMEs under CCR 35(d), as the evidence could affect the permanent disability rating. In Rodriguez v. Waste Management Collection and Recycling, 2018 Cal. Wrk. Comp. P.D. LEXIS 408, the WCAB amended a WCJ’s decision allowing an applicant to record his QME evaluation through a court reporter to also permit him to make an audio recording with his phone. In Casado v. Kaiser Permanente, 2018 Cal. Wrk. Comp. P.D. LEXIS 399, the WCAB held that a QME’s report was inadmissible when it stated that his medical assistants performed Jamar dynamometer measurements as part of his evaluation, but the QME, in the report or at deposition, was unable to clarify which assistant performed the measurements, in violation of LC 4628(b). In Lopez v. Car Care, Inc., 2018 Cal. Wrk. Comp. P.D. LEXIS 411, the WCAB upheld a WCJ’s decision that an applicant’s request for a replacement panel in pain management was void, and ordered the applicant to be evaluated by a replacement panel in orthopedic surgery requested by the defendant. In Davies v. Securitas Security Services USA, Inc., 2018 Cal. Wrk. Comp. P.D. LEXIS 423, the panel majority held that a primary treating physician was entitled to recover for his lien related to a psychiatric evaluation under LC 4060 on the issue of compensability, which was prepared after the defendant denied the claim. In Dean v. HomeGrocer.com, 2018 Cal. Wrk. Comp. P.D. LEXIS 424, the WCAB held that a defendant did not establish good cause to set aside stipulations that an applicant sustained injury to various body parts even though the QME and the applicant’s primary treating physician were found guilty of crimes relating to workers’ compensation. In Crook v. Santa Ynez Valley Presbyterian Preschool, 2018 Cal. Wrk. Comp. P.D. LEXIS 401, the appeals board held that when a party exercises a peremptory challenge of a WCJ for trial, but the same WCJ is conducting the MSC, the WCJ retains authority to issue orders such as discovery orders. In Alaeddin v. SCIF, 2018 Cal. Wrk. Comp. P.D. LEXIS 395, the WCAB upheld a WCJ’s decision that substantial evidence established that a claims adjuster sustained a cumulative trauma injury resulting in a stroke. The exclusive remedy rule limits an employee's remedies against an employer for injuries sustained during the course of the employment. The purpose of the exclusive remedy rule is to protect the employer's side of the compensation bargain. Under the compensation bargain, the employer assumes liability for industrial personal injury or death without regard to fault in exchange for limitations on the amount of that liability. The employee is given relatively swift and certain payment of benefits to cure or relieve the effects of industrial injury without having to prove fault but, in exchange, gives up the wider range of damages potentially available in tort. Labor Code § 3852, however, expressly provides that a workers' compensation claim "does not affect his or her claim or right of action for all damages resulting from the injury or death against any person other than the employer." Therefore, although the exclusive remedy provisions of the Labor Code restrict civil actions against a negligent employer, the exclusive remedy rule does not preclude the employee from suing a third party whose conduct was a proximate cause of the injury. The exclusive remedy rule has been extended to insurers and claims administrators as the alter ego of the employer. (See Marsh & McLennan, Inc. v. Superior Court (1989) 49 Cal. 3d 1; Charles J. Vacanti, M.D., Inc. v. State Comp. Ins. Fund (2001) 24 Cal. 4th 800.) But, physicians within the workers' compensation system have not enjoyed the same protections. One of the issues that has arisen within the workers' compensation system is whether utilization review physicians may be sued for negligence. Unlike other physicians, utilization review physicians do not physically evaluate injured workers; they assess the medical necessity of a request for treatment by reviewing medical records submitted with the request and determine whether the treatment is consistent with the Medical Treatment Utilization Schedule or other evidence-based guidelines. One of the issues that has arisen within the workers' compensation system is whether utilization review physicians may be sued for negligence. Unlike other physicians, utilization review physicians do not physically evaluate injured workers; they assess the medical necessity of a request for treatment by reviewing medical records submitted with the request and determine whether the treatment is consistent with the Medical Treatment Utilization Schedule (MTUS) or other evidence-based guidelines. In King v. CompPartners, Inc., the California Supreme Court held workers' compensation law provides the exclusive remedy for an employee who alleges injuries caused by a utilization reviewer's denial of medical treatment. In that case, an employee suffered a series of four seizures after a utilization reviewer denied a request for medication. The employee and his wife filed a civil tort claim against the reviewer and others alleging they caused him additional injuries by denying medications prescribed by his treating physician without authorizing a weaning regimen or warning him of the possible side effects of abruptly ceasing the medication. The Supreme Court reversed the Court of Appeal's decision that the employee could potentially could assert a civil tort claim against a utilization review doctor. It explained the Workers' Compensation Act (WCA) exclusivity provisions preempt not only those causes of action premised on a compensable workplace injury, but also those causes of action premised on injuries collateral to or derivative of such an injury. The Court explained the utilization review provisions of the WCA govern not only the substance of a utilization review decision, whether based on medical necessity or otherwise, but also the content of the responses communicating the decision. It concluded the harm plaintiffs alleged was collateral to and derivative of that industrial injury and arose within the scope of the employee's employment for purposes of the workers’ compensation exclusive remedy. The Supreme Court noted that that while the WCA preserves the right of employees to sue third parties, it held that workers’ compensation exclusivity preempts tort claims against certain persons and entities hired by employers, and this included utilization reviewers hired to carry out the employer's statutory claims processing functions. It explained that in performing their statutory functions, utilization reviewers stand in the shoes of employers: they perform utilization review on behalf of employers, to discharge the employers’ own responsibilities to their employees. The Supreme Court added that utilization reviewers are tasked with making judgments on a limited set of documents pursuant to defined criteria and subject to further review only through statutorily specified procedures. It believed that permitting plaintiffs to bring tort suits against utilization reviewers, in the same manner as they might bring tort suits against treating physicians, would subject utilization reviewers to a second—and perhaps competing—set of obligations rooted in tort rather than statute. The Supreme Court, however, noted that workers' compensation exclusivity does not bar tort remedies for acts that fall outside the risks encompassed within the compensation bargain. It believed that in other cases, a plaintiff could argue that a utilization reviewer's conduct exceeded the bounds of its role and that workers' compensation exclusivity should not apply. But, because the acts alleged in that case did not suggest the defendants stepped outside of the utilization review role contemplated by statute, the plaintiffs' claims were pre-empted. Therefore, under this decision, utilization review physicians will be generally covered by the exclusive remedy rule. Injured workers may not sue them in civil court for their decisions to deny or modify requested treatment, even if the decision was mistakenly made. Injured workers may only seek civil remedies against utilization review physician where they engage in extreme and outrageous conduct and in effect step outside of their normal roles in the workers’ compensation system. Given that utilization reviewers must follow specified procedures in carrying out their duties, it will be very difficult for injured workers to make such claims. On a final note, the Supreme Court believed the Legislature enacted sufficient safeguards to protect employees against abuse in the utilization review process such as rules precluding discontinuation of care, administrative penalties, professional discipline, and employers being responsible for paying benefits to workers who suffer injuries as a result of the utilization review process. However, in one concurring opinion, Justice Liu questioned whether the utilization review process was working as intended, and whether the utilization review requirements are enough to prevent similar injuries in the future. In another concurring opinion, Justice Cuéllar explained that the Court’s understanding of the utilization review statute’s purpose may have differed if the Legislature had failed to provide any safeguards, incentives, or remedies, and added that those safeguards may not be set at optimal level. Both concurring justices stated that the Legislature may wish to examine whether the existing safeguards were sufficient. Accordingly, there is no doubt that deference was given to the Legislature’s plenary power over the workers’ compensation system. As it stands, injured workers are generally limited to seeking workers’ compensation remedies for any adverse decisions by a utilization review doctor. Any penalties or sanctions against a utilization review doctor or utilization review organization will be limited to those set out in the statutes or administrative regulations. Any additional penalties or sanctions will need to be adopted by the Legislature, not the courts. By Sure Log exclusively for Sullivan on Comp. In Escamilla v. Cacique, Inc., 2018 Cal. Wrk. Comp. P.D. LEXIS 49, the WCAB held that a defendant was not entitled to credit pursuant to LC 3861 for an employee’s legal malpractice recovery against her civil attorney. In San Diego County Schools Risk Management Joint Powers Authority v. Liberty Insurance Corp. (2018) 83 CCC 255, the U.S. District Court for the Southern District of California issued a tentative ruling in a case involving two excess insurers that the second excess insurer was fully liable for expenses exceeding $100,000 for two cumulative trauma injuries. In Molar v. State of California Department of Corrections and Rehabilitation, 2018 Cal. Wrk. Comp. P.D. LEXIS 35, the WCAB held that, per LC 3212.8, a correctional officer was entitled to the presumption of compensability regarding his herpes/Epstein-Barr virus exposure. In SCIF v. WCAB (Guzman) (2018) 83 CCC 185, the 6th District Court of Appeal held that an employee’s psychiatric injury was not caused by a sudden and extraordinary employment condition for the purposes of LC 3208.3(d) when he was using a 95-pound compactor on a hillside with a 45-degree slope. In Garcia v. Reynolds Packing Co., 2018 Cal. Wrk. Comp. P.D. LEXIS 29, the WCAB held that an applicant’s psychiatric claim was compensable when the defendant failed to produce evidence that her claim was barred by the six-month requirement in LC 3208.3(d). In Galland v. Los Angeles Unified School District, 2018 Cal. Wrk. Comp. P.D. LEXIS 28, the WCAB upheld an earlier decision that an applicant’s claim was barred by the statute of evidence when the defendant presented evidence that it provided him with a claim form and that he did not file an application for adjudication until more than four years later. In Visger v. San Francisco 49ers, 2018 Cal. Wrk. Comp. P.D. LEXIS 42, the WCAB upheld a WCJ’s award of 120 days of inpatient treatment and an additional one year post-inpatient treatment at an assisted living facility for a traumatic brain injury when the defendant did not timely act after receiving the RFA form. In Villa v. Los Angeles Unified School District, 2018 Cal. Wrk. Comp. P.D. LEXIS 61, the WCAB rescinded a WCJ’s order requiring a provider to pay $18,559.15 to a defendant for overpaid treatment provided to an applicant. In County of San Diego v. WCAB (Pike), 2018 Cal. App. LEXIS 184, the 4th District Court of Appeal annulled the WCAB’s award finding that an applicant with an injury after Jan. 1, 2008, was entitled to temporary disability payment for periods occurring more than five years after the date of injury. In Bautista v. Smith’s Group Services Corp., 2018 Cal. Wrk. Comp. P.D. LEXIS 44, the WCAB rescinded a WCJ’s finding that an applicant did not suffer a severe burn pursuant to LC 4656(c)(3)(D) when he focused solely on whether the burn itself was severe. In Martinez v. Parco, Inc., 2018 Cal. Wrk. Comp. P.D. LEXIS 55, the WCAB held that removal of bone from the applicant’s thumb, combined with its shortening by 7 mm, was a result of the surgeries for the treatment of his industrial injury, and constituted an amputation for the purposes of applying the LC 4656(c)(3)(C) exception to the 104-week limit on temporary disability. In Rayo v. Certi-Fresh Foods, Inc., 2018 Cal. Wrk. Comp. P.D. LEXIS 58, the WCAB upheld a WCJ’s decision finding that an applicant’s procurement of a chiropractic panel per LC 4060 was premature and invalid, as the qualifying event for obtaining such a panel — the “mailing of a request for a medical evaluation pursuant to Section 4060” — had not taken place. In Angel v. Able Engineering, 2018 Cal. Wrk. Comp. P.D. LEXIS 25, the WCAB held that an applicant was not entitled to a replacement panel QME in dentistry, based on his claim that the QME was not licensed to practice dentistry at the West Covina location where his medical-legal evaluation took place. In Marroquin v. County of Orange, 2018 Cal. Wrk. Comp. P.D. LEXIS 33, the WCAB upheld a WCJ’s order taking a case off calendar even though the applicant was evaluated by a QME and a treating physician. . In Hernandez v. Henkel Loctite Corp. (2018) ADJ6726149, the WCAB en banc held that lien declarations under LC 4903.05(c)(1), for liens filed prior to Jan. 1, 2017, were timely if they were filed by 5 p.m. Monday, July 3, 2017.